Using the pen, paper and register is a very traditional method. Storing and managing attendance registers is a headache job. 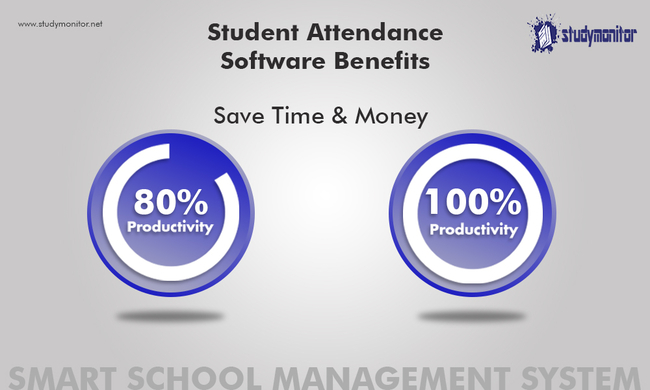 Automated attendance software will drastically cut down the paperwork and stores every data in the cloud; it serves as a student record management system. Every day the class teacher spends at least ten minutes of 45 minutes class time to take attendance, which results in wastage of 20% of total productive work hours. 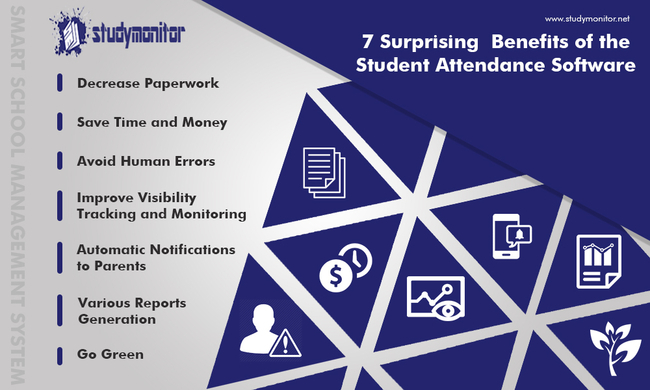 Adopting smart attendance system will let the administration to assign their staff to high priority and value-added tasks. There are high chances for human errors due to the hectic attendance calculation process. 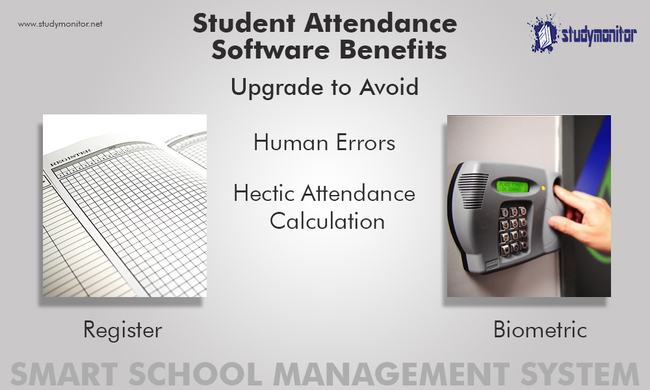 Upgrading to cloud-based Student Attendance System integrated with RFID or Biometric system eliminates the human errors and makes the process smooth. 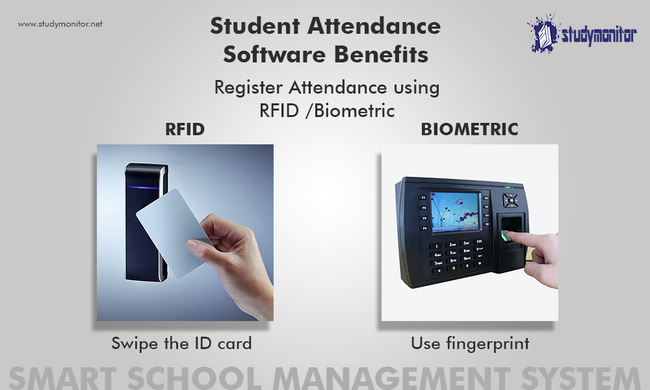 Students can register their attendance either using RFID by swiping their ID card or with Biometric, using their fingerprint before entering their respective classrooms. 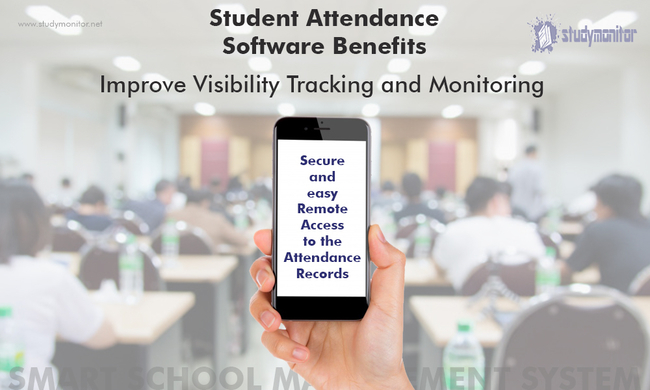 Tracking and monitoring of attendance records across multiple campuses even from the remote location remain secure and comfortable using student management system. 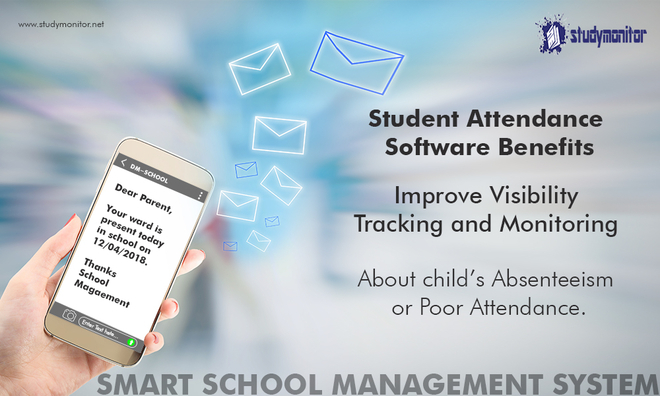 With the online school management system, Parents will get automatic email or SMS alerts notifying their child’s absenteeism or poor attendance. 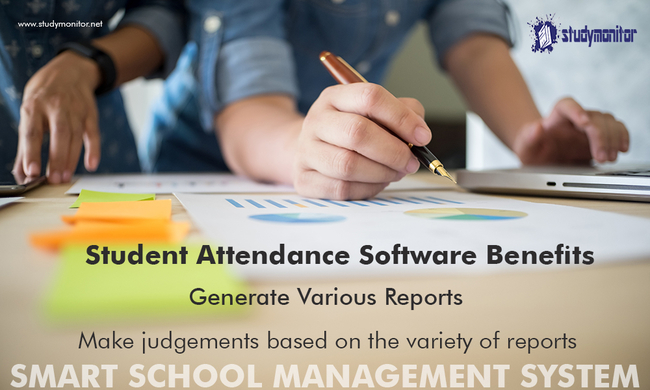 Teachers and administration can produce a variety of attendance reports to make data-driven judgments. Be sure about education management software before you turn to a paid option, check out our school management software for free. Papers and attendance registers sound outdated with the introduction of school management system erp. 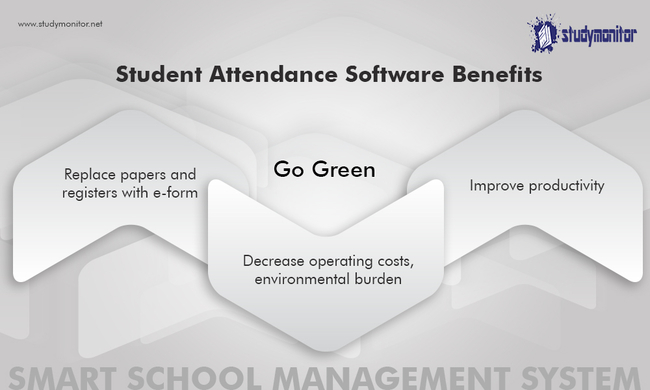 By opting e-form of attendance, you can reduce operating costs, decrease the environmental burden and improve productivity.